The expert team at Australian Cruise Magazine is frequently asked about the new ultra size ships operating out of the USA. 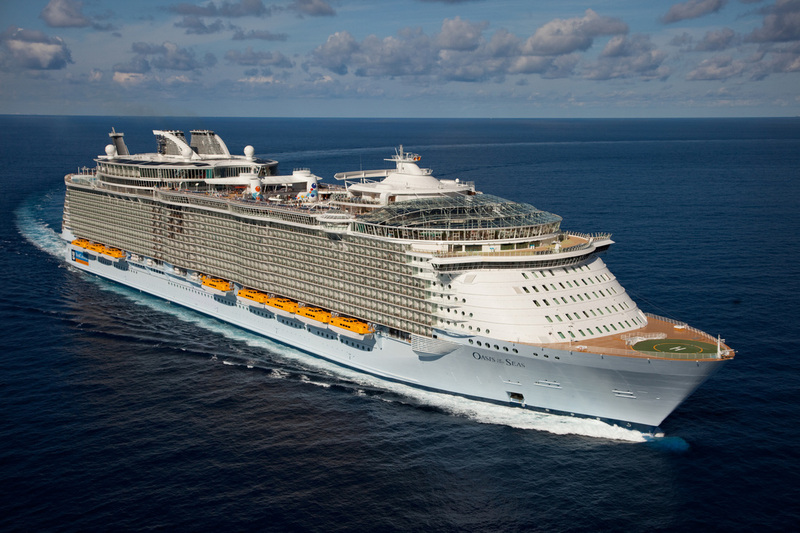 Many readers have seen the massive ships on TV and want to what they are like to cruise on. Well, for starters, they are BIG! 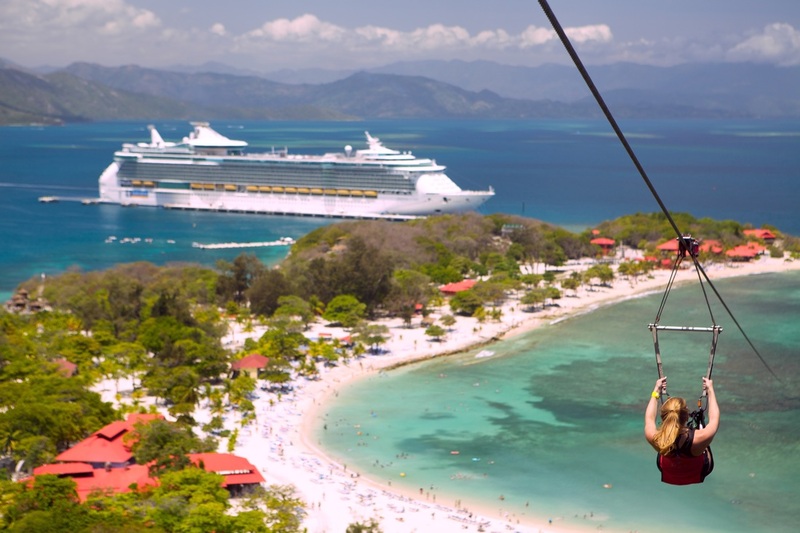 The Oasis of the Seas and Allure of the Seas are both 225,000 tonnes. That makes them three times larger than Pacific Dawn and ten times larger than the old Fairstar. 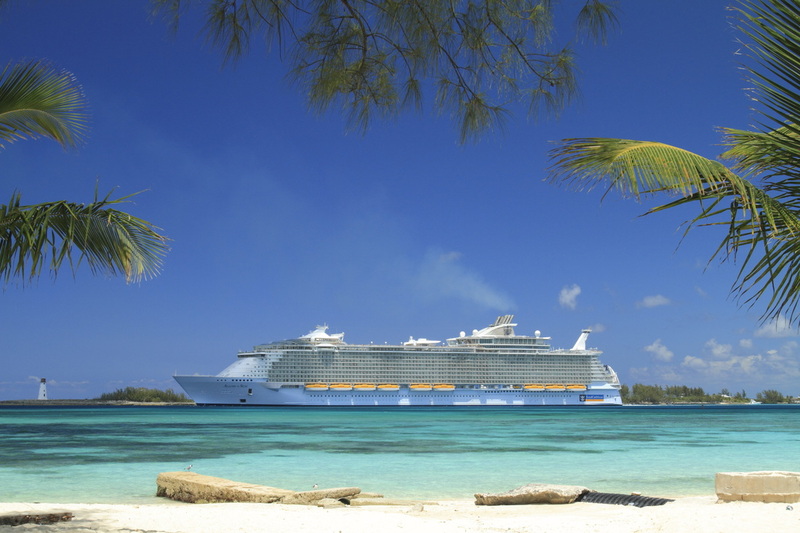 Cruising on these ships is nothing like any other cruising experience. Because they are so big, it is more like staying in a resort town than taking a leisurely sea voyage. Picture this: There are up 6,000 people of all ages out to have a good time and letting their hair down. They come from all over and are thrown together for one week at sea. With this in mind, the ships are full of activities and there are people everywhere. 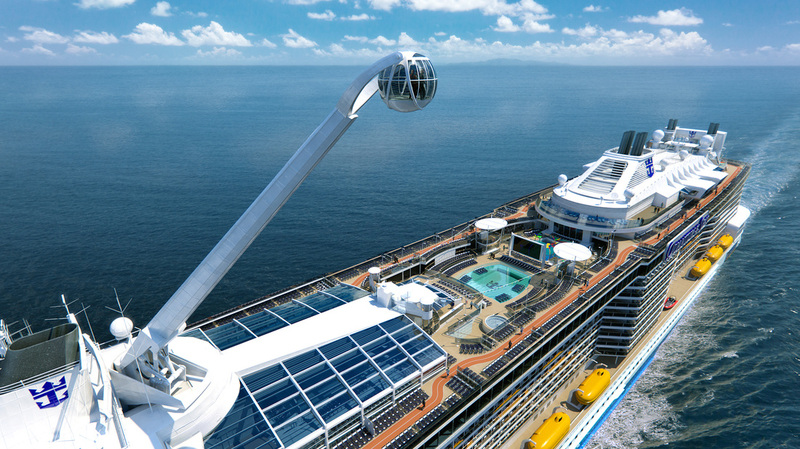 Americans have only a week in which to take a cruise, so these ships are designed to give maximum bang for your buck. This type of ship suits people who enjoy the city life, lots of bustling activity, like a lot of dining variety, good nightlife and want lots of things to do on their cruise. The whole cruise is heavily “programmed” with everything working like clockwork. 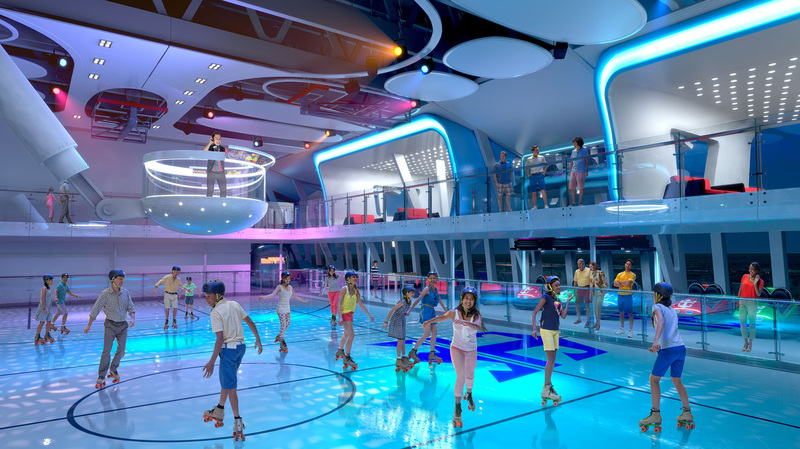 The big ships are family-based with loads activities to suit kids of all ages. They also have mostly balcony cabins, something a lot of passengers insist upon. This gives you a place to enjoy the great outdoors away from the hustle and bustle. One thing we found is that there are a lot of distances to be covered on a big ship and this may not suit senior passengers. If you settle down on a deckchair to read a book and realize you forgot your glasses, it may take you a good 20 minutes to do a return trip to your cabin. At night, the entertainment is like Las Vegas. The ships put on large production shows and have several venues with comedians, entertainers and all kinds of show biz acts. If you enjoy having a good night out, every night is a bonus on a big ship. While you would think that this type of ship is less personal and sociable, the staff is trained to make you feel welcome and the service is surprisingly good. 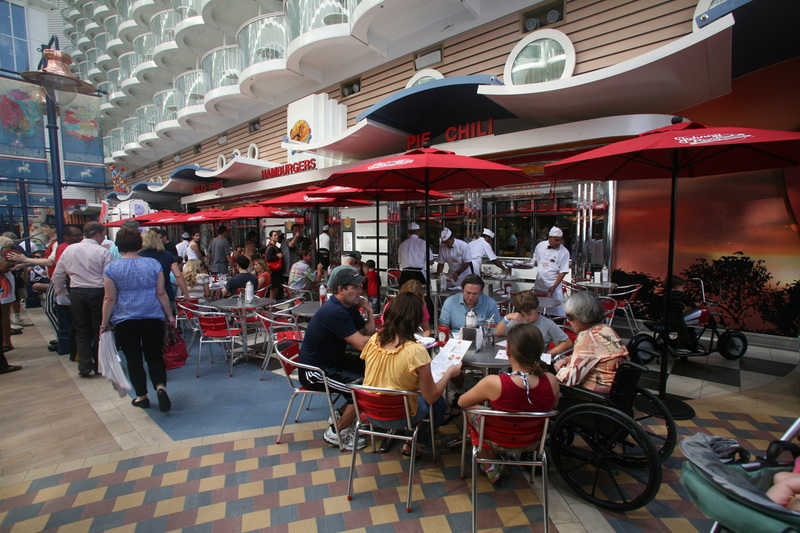 However it can never match the personalized service provided by smaller ships. 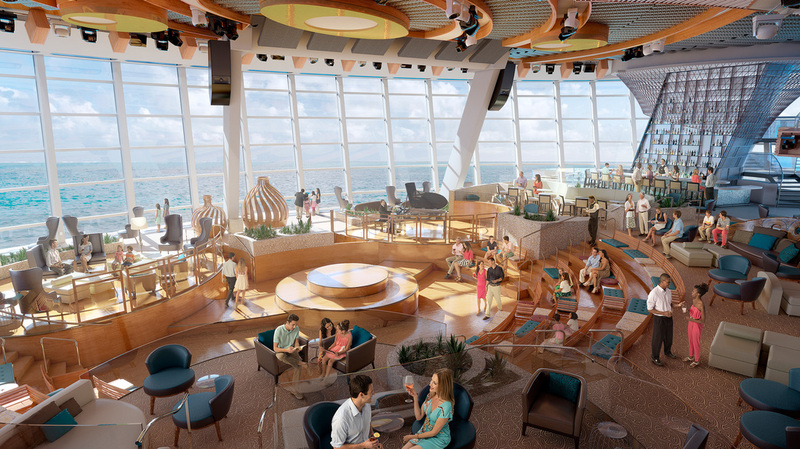 The ships have a much larger range of public rooms than normal ships. They also have their own shopping mall where the ladies can run amok with the cruise card. You will find they also have very advanced electronic entertainment and communications systems which are ideal for the person who loves the latest gadgets or wants to keep in touch with big wide world. The big ships have their frustrations. Waiting in line for the buffet, access to a show, at the information desk, shore tour bookings and simply getting off at ports can waste a lot of your valuable holiday time. Put simply, you are just one person in a massive crowd. If that doesn’t bother you, and Australian city dwellers are used to it, then you will enjoy your big ship experience. Relax an enjoy a coffee in your very own shopping mall...far out at sea!